What would become of American society if the power were to go out permanently nationwide? Odds are we’d be looking at a fairly apocalyptic scenario—something like The Stand, perhaps, except with most people killed by a battle for dwindling resources rather than by a superflu. 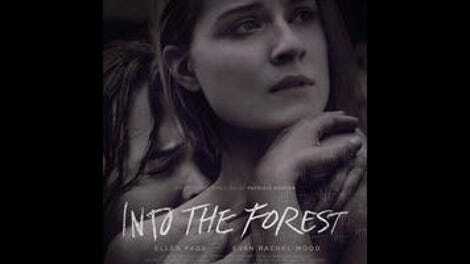 The new drama Into The Forest, however, uses this dystopian premise to fashion a comparatively small-scale nightmare, observing how the end of electricity affects two adult sisters living in an isolated rural house. It’s a risky approach to such grave material, requiring characters vivid and dynamic enough to serve as a compelling microcosm; viewers not fully engaged by what’s happening on screen are sure to be constantly distracted by thoughts of the meltdown that must be happening off screen. The risk doesn’t pay off here, alas. Indeed, there are stretches of Into The Forest during which one could momentarily forget that it’s a survivalist tale at all… or even that it’s taking place in the middle of nowhere, for that matter. The essential becomes irrelevant. Right off the bat, it’s unclear why this movie is set in the near future. Some expense has gone into designing nifty electronic gadgets that don’t yet exist (briefly seen before the lights go out), but not only could the story that follows take place today, there would also be no difference whatsoever if it did. Still, Nell (Ellen Page) and Eva (Evan Rachel Wood), along with their father (Callum Keith Rennie), have all the modern conveniences and are initially quite put out when they experience what seems to be an ordinary outage. Rumors of terrorism fly in town, however, as people quickly strip the markets bare, and a tragic accident soon leaves Nell and Eva on their own, as days, then weeks, then months pass with no power. After having lived on the edge of nature while remaining very much apart from it, the women must learn to hunt their food and come to terms with the possibility that life as they’d known it may be over. They also soon find that they have to protect themselves from predators—in both animal and human form. Written and directed by Patricia Rozema, a Canadian filmmaker probably still best known for I’ve Heard The Mermaids Singing (a charming sleeper that came out way back in 1987), Into The Forest was adapted from a novel by Jean Hegland, described by a Guardian writer as being “about rampant gender inequality and technological over-reliance.” Neither of those themes comes through powerfully in the movie version, perhaps because interior monologues have been jettisoned. Instead, Nell and Eva argue about, for example, whether or not the little gasoline they have should be used to power their home generator, so that Eva, an aspiring dancer, can practice to music rather than just to a maddening metronome—not exactly a debate that makes the heart pound. Things get hairier when one of the women is sexually assaulted by a casual acquaintance, but the traumatic aftermath of this incident, while affecting, is identical to how it would play out had the assault occurred when society was intact. Solid but unremarkable performances from Page and Wood, who aren’t given much to work with apart from generic anxiety and low-key squabbling, contribute to the overall listlessness. Only in its final few minutes does Into The Forest suggest that it’s creating an arresting new mythology, at which point it promptly and anticlimactically ends.